The two-day Goffs UK Autumn Sale came to a successful finish at Doncaster today with a session of 294 Horses-in-Training selling to domestic and international buyers from around the world. The sale enjoyed strong demand throughout the day which saw the clearance rate finish at a respectable 82%. 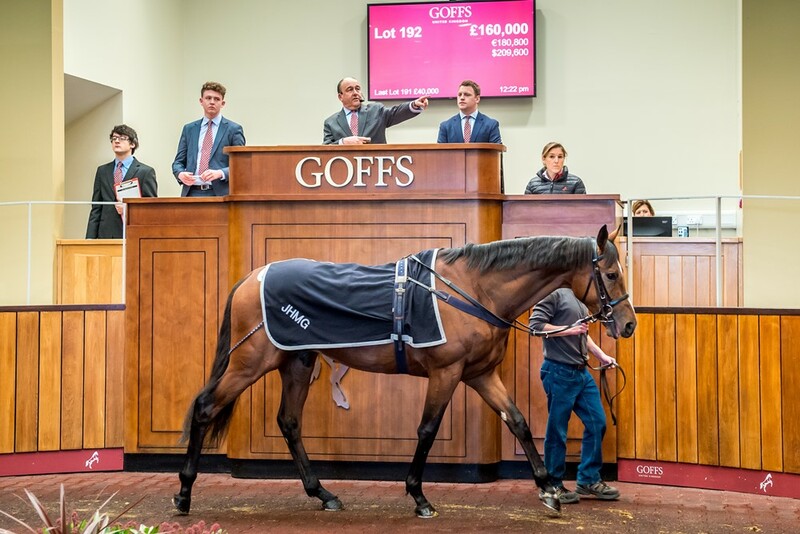 The sale also achieved its highest price since the John Gosden trained Thomas Hobson who sold for £240,000 in 2013. Topping today’s final session was another John Gosden graduate, Joshua Reynolds (Lot 192), who was purchased by Warren & Elliott, who saw off Neil Mulholland, with a final bid of £160,000. The Nathaniel 3YO half-brother to the Gr.1 winner Speedy Boarding won his third race this season when successful at Chelmsford last week and will continue his racing under the Highclere banner in Australia. Shadwell Stud consigned three of the top five lots which included their winning Teofilo 3YO Nadaitak (Lot 253) who was sold to Stroud Coleman Bloodstock and Jonjo O'Neill for £80,000 and the winning Invincible Spirit 2YO Mushahadaat (Lot 215) who was purchased by Howson and Houldsworth Bloodstock for £77,000. “It’s pleasing to end on a high note and today’s Horses-in-Training session has certainly been a success. Having large drafts from Godolphin and Shadwell bolstered the catalogue and that, in conjunction with horses from leading trainers such as John Gosden who sold the top lot today, gave the sale international appeal and drew a lot of domestic and overseas buyers from around the world to Doncaster.